CIA concludes Russia tried to interfere in U.S. elections to help Trump win. 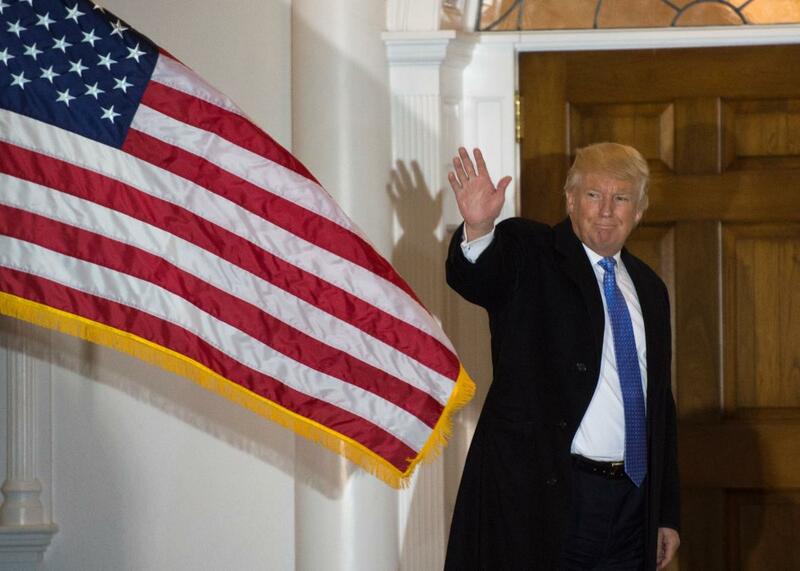 President-elect Donald Trump waves to the media from the steps at the clubhouse of Trump National Golf Club November 20, 2016 in Bedminster, New Jersey. The Central Intelligence Agency has apparently reached the conclusion that Moscow wasn’t just rooting for a Donald Trump victory, but actively worked to try to make it happen. According to a secret bombshell assessment that was first reported by the Washington Post, it is the “consensus view” of the intelligence community that the hacks and other cyberattacks that marked the presidential campaign weren’t just an effort to undermine confidence in the U.S. electoral system but rather an active campaign to install the Kremlin’s favorite candidate in the White House. At a meeting with several senators last week, the CIA said it was “quite clear” that Russia’s goal was to help Trump get elected. But that view was not a formal assessment by all of the country’s intelligence agencies as there were apparently some disagreements. Even though U.S. intelligence agents identified people with connections to the Kremlin who provided thousands of hacked emails to WikiLeaks there is no specific evidence showing Russian officials directing them. But those in the intelligence community say that not much should be read into that because Moscow is fond of using middlemen for sensitive operations. The New York Times takes that one step further, saying that the CIA has concluded with “high confidence” that Russian hackers did indeed get inside the Republican National Committee’s network but did not release any information from there. “We now have high confidence that they hacked the D.N.C. and the R.N.C., and conspicuously released no documents” from the Republicans, a senior administration official tells the Times. Republicans have long denied their network was hacked, saying only individual Republicans were affected by hacks. The FBI apparently agrees with the Republicans, saying the efforts to hack the Republican National Committee’s computers were not successful. Some, however, are cautioning against reading too much into this, saying the Russians—like the rest of the world—really expected Hillary Clinton to win the election, which is why they focused their efforts on discrediting her. The leaked information, they say, could have later been used to delegitimize her presidency.